Ditto and Lee Are Off The Streets! 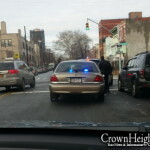 CrownHeights.info has learned that the two ‘Officers’ that were assigned to car 1474, Ditto and Lee, known as the APL car [or otherwise knows as the car that gives out all the seatbelt and cell phone tickets], were removed from street duty! This news comes after they have harassed Crown Heights residents, and according to most residents, they were biased and have harassed both Shomrim and Hatzalah Members in the past. Motorists still remember the first two ‘Officers’ Kennedy and Muintz who were removed from their duties for various violations. The most serious being; they struck a pedestrian on Purim during the ticket blitz then left the scene, telling the pedestrian “nothing happened”, and another incident where they made a motorist get out of her vehicle to collect her drivers license and ticket. After the removal of these two ‘Officers’, Lee and Ditto were assigned to the APL car. There are numerous rumors flying about as to the circumstances of their removal, one of them being; after an investigation of hundreds of complaints to the CCRB [Civil Complaint Review Board] against the duo. The CCRB opened the camera that is located on the windshield of the car [placed there to prevent departmental irregularities] and the investigators came across a harrowing incident where the ‘Officers’ chased a motorcycle out of the jurisdiction of the 71st precinct, during which the cyclist was involved in a fatal accident and upon this happening the two ‘Officers’ ‘fled’ the scene. The authenticity of the rumors can be questioned, however a previous incident involving these two reckless ‘Officers’, where they drove at a high rate of speed in pursuit of a small ‘moped’, down union street from the Kingston Ave to New York Ave (driving against traffic) (Click Here to read that story) this wouldn’t be such a far cry. We also learned that not only have the ‘Officers’ lost their guns and badges they were also transferred out of the borough. One was assigned to the Bronx on desk duty, while the other to Manhattan on desk duty as well. Residents are urged to fight unjust tickets they received from them. Remember, since Mayor Bloomberg implementation of the 311 hotline the police now have who and what to answer for, complaints to the CCRB have gone up %70 since 311, so if you feel you were mistreated in any way, call 311 and complain! Brauch H-Shem! May all sonei yisroel meet a similar fate! Looking forward to see lee and ditto directing traffic. mazal tov! so who will replace them now? Mazel tov, Although I don’t live in Crown Heights I still feel the joy!!! Mazal Tov, Mazal Tov! We should make a seudas Hoda’ah. I heard Ditto and Lee were sent to Afghanistan, where they now issue tickets to women whose eyes show under their burqas! Kennedy and Muintz are in Teheran, doing similar "Islamic Tznius Patrol" duty. Yasher Koiach CHInfo for exposing these 2. I just hope their replacements are not of the same ilk. thank God wahoooo thier outta here!! great news…now what about getting rid of those 2 women cops? just think…if we can achieve this, let’s all join together to get rid of EVERYONE who’s making life gehennom for the decent pple of CH. And that includes getting rid of this CHJCC & all their servants. Great news, see what achdus can do? I wonder who will take over this car now? Do you think it’s spooked? I AGREE WITH "AWACS" A HUMAN BODY IS CONTROLLED BY THE HEAD. RICAN VEGA IS THE HEAD OF THE 71ST PCT. IF HIS OFFICERS ARE MAKING TROUBLE IT IS ONLY BECAUSE OF HIM. HE IS THE ONE WHO SENDS THEM TO "GET THE JEWS" WE HAD A BEAUTIFUL RELATIONSHIP WITH THE PCT. UNTIL HE CAME ALONG, GO FIGURE. VEGA, WE CAN’T WAIT TILL CCRB TAKES YOUR SHEILD!!!! i has seen so many times,what the two cops here were doing. they were not as bad as the first 2 black woman officers,how ever they were still bad. it is so easy,yet this is not being done. i will allways remember of one cop,that worked in the 71pct,and now works with the police Commissioners Liaison unit.his name is Sergeant David Wadler. when he worked here,he was liked by jews and non jews alike.his undertanding and judgement is not what you find every day.he is one of new yorks finest cops! we need officers like him here more then ever! and i assure you,crown heights would be a much safer place! I did not know that the jewish community was so anti law enforcement shame on all of you for filing false complaints against cops and for rioting ang getting away with it. THE SCUMBAG VEGA IS NEXT HE IS GOING DOWN AND DIRTY FOR ALL THE GARBAGE THAT HAS HAPPENED. ALL THE JEWISH NYPD AUXILIARY’S SHOULD GET OUT OF THE RACIST 71ST PRECINCT CAUSE THEY ARE GOING TO BE DRAGED INTO THE GARBAGE. I THINK THEY SHOULD PUT CAMERA’S ALL PATROL CARS SO THEY CAN CATCH ALL THE COPS ACTION’S WHEN THEY PULL US OVER FOR STUPID STUFF. I did not know that the trollish community now frequents internal Jewish community blogs. Maybe Ditto and Lee should be assigned to Troll Patrol! "and for rioting ang getting away with it." If only we did riot, then we would have had justice much sooner, and we may have gotten guys like you off the street. "I did not know that the jewish community was so anti law enforcement"
We love the law enforcement, what we don’t like is people in the enforcement making there own laws. You enforce the law you don’t make the law. What a disgrace. Maybe they were over zealous but to call them anti-semites is wrong. D.I. VEGA NEEDS TO BE SENT TO THE BRONX AND PUT HIM BEHIND A DESK AND TAKE AWAY HIS GUN AND SHIELD AND LET HIM SUFFER LIKE THE WAY HE MADE CROWN HEIGHTS SUFFER. THEY SHOULD HAVE LEFT HIM IN THE 72ND PRECINCT WERE HE BELONGS. I AM IN THE 71ST PRECINCT AUXILIARY UNIT AND THEY SHOW NO RESPECT TOWARDS THE AUXILIARYS. AND THEY HAVE NO RESPECT FOR PEOPLE WHO COME IN THE PRECINCT IN GENERAL. Ya know, at first glance the pic strikes me as something from abbot and castelio. they look like clowns. for everyone’s info i think the car is cursed cuz this morning at about 7:30 in front of my house car number 1474, which was these officer’s car, they pulled over a person, i think cuz they wanted to feel important, and just ticketed the car for probobly something stupid, especially at 7:30 in the morning. You guys sound like a bunch of Morons. If you follow the laws in regards to driving, you will never have a problem. Is that right? If we follow the law in regards to driving, the cops will take the time to arrest muggers instead? THAT is our problem in CH. WE pay the taxes and WE get fined for the offenses, whereas the REAL criminals walk around as if they own the neighborhood. And all because of politically correct policing, and cops who know that if they ticket a Jew in CH, the worst they’ll get is a little rudeness, whereas if they do what is needed to fight crime, which is what WE pay them to do, and what the many law abiding gentiles in CH also PAY them to do, they might get into a fight. Cops are civil SERVANTS, not our bosses. Cops work for US – we are not here so that cops can meet ticket quotas. I’d love it if we could handle things ourselves, get a rebate from the city for what goes to the cops, and put a private security firm into the 71st Precinct offices. Needless to say, that is not how things work in the US. The NYPD say they are giving ticket on accident prone zones. That’s fine, we most be safer on the road. But our (real) problem here is, why are not the NYPD found in Crime prone zones. If they are cracking down on Road crime then they should be (even more) cracking down on ALL crime. It just seems that they are just taking the easier Job* (of making money) and not getting in to harms way. I.e. we want full protection. * Easier job: The question also arises as to why when other’s in our community breaks the traffic laws (like double parking etc…) they get away with it. Don’t fool yourself; it’s not only about the tickets. And together we will walk in the ways of Hashem. at the Memorial Ceremony for the service members that died aboard the USS Cole. you are all a bunch of hypocrites. you are supposedly so religious and you think are so righteous. noone is above the law, not even you! i’m sure these two officers have families and you are hurting them with your shameful comments. if you want a lawless society where noone gets punished for crimes, then move somewhere else where anarchy rules, but here we have laws and you must abide by them. not ask for leniency or tell the cops that you know so and so and think that will get you off a ticket. follow the laws and there is no problem. if you want respect – give respect. THEN YOU WILL WISH TO HAVE US BACK!!!! There is not one comment above were anybody says that we/anybody should get away with braking the law. This morning the traffic light on N.Y. Ave and Empire, let’s see, yes that’s the corner on the 71st precinct, was not working for about (as far as I know- could be more) an hour, as I was coming up N.Y. Ave (with a green light) I almost got hit from both sides. HOW DARE YOU compare a lousy traffic cop with an American serviceman? My blood is boiling for the memories of those whom you insult with your comparison! And no one is asking for leniency – only FAIRNESS. The fatal accidents in our neighborhood are caused by the people who get away with offenses (most of whom do not live in CH) while we are ticket blitzed to death. And the cops need to respect the law abiding citizens who make their lives easy and PAY THEIR SALARIES. Otherwise, like any other employees on the taxpayer payroll, we have every right to complain and to celebrate when the city wakes up and removes the incompetents and dishonest ones from our midst. And no one is asking for leniency – only FAIRNESS. The fatal accidents in our neighborhood are caused by the people who get away with offenses (most of whom do not live in CH) while we are ticket blitzed to death. Why? Because we do not riot. CH is not Boro Park, and Boro Park was a joke compared to what would happen if cops discriminated against certain other minorities who are also disproportionately represented on arrest and prison records. And the cops need to respect the law abiding citizens who make their lives easy and PAY THEIR SALARIES. Otherwise, like any other employees on the taxpayer payroll, we have every right to complain and to celebrate when the city wakes up and removes the incompetents and dishonest ones from our midst. This is NOT a police state! This is a state of its CITIZENS, who pay taxes to have law and order maintained on THEIR behalf and not according to the standards of those whom they pay. This is graet news. As I suggested on earlier occasions "don’t just sit ther do somethig". Looks like ppl listened and filed those complaints and these idiots got what they deserve. Once again I would like to inform you about the 71 pct Community Meetings that take place monthly accross the street from the 71st pct. Next meeting is in September. Please come and say all the comments on this site directly to CO Vega. All I can say is that this is all highly entertaining. You just gave me 10 minutes of relaxing time reading all this back and forward comments/insults, etc. Keep em coming! I think I have another 10 minutes spare later to fill! LOL – you could have done a better job trying to imitate the cops (who could never dare to post here under the circumstances). As it is, you should have used the screen name "Laurel and Hardy!" Let me set somethings straight. I am speaking on behalf of these two officers and wish to remain anouymous (or however you spell it). Right now, they are reading the website and laughing. They are going through a rough period right now and over time, they will resume their career. They would comment themselves, but it is in their best interest not to at this present time. They worked hard and did their job. The Jewish community is up in arms because they were actually touched for once and these officers had the courage to do it. I cannot say the same for other lazy cops. I find it disgusting that they are being referred to as Laurel and Hardy, but it is not ok to right despariging remarks about the jewish community; those would not get printed, but dispariging remarks about them are. That is a disgrace and the jewish community should be ashamed of themselves. This website should be ashamed of it iself to as it is biased and one sided; it should retract it as it would comments about the jewish community. Mark my words they will be back and they will resume their courageous work. I support them and believe me, they taking all this one and they will return stronger than ever. Yous are making it worse on yourselves. I am not afraid. Neither is anyone else in this neighborhood. Just maybe we will be the ones to crack the blue wall of silence and get things to the way they should be where the cops know who the real criminals are and spend their time chasing them instead of the citizens who pay their salaries. You have your police forums where you rant and rave and use the most filthy N*zi style language against our community. We have our news forum where we tell it like it is. We may have enough to file a class action Civil Right Suit. We have a guy in the community that does just that. Sorry officer, we don’t give into terrorism. The most amazing part of this story is not the fact that these two “fine officers” were removed from the streets and transferred separately to different boroughs, no this is small stuff. The best part about it is the defense that they are getting on behalf of all NYPD MOS’s. One night I was in the 71st and I saw scrawled on a locker with a marker “DON’T BE A DITTO”. While within the department officers may hate each other, once one of their own comes under attack they unite and defend each other, even if he’s a bad cop. Crown Heightsers take a cue! When the 71st received 6 new officers 2 years ago I heard a community member ask a Sgt. are they white or black, the Sgt. answered blue. While I wish that were true, it isn’t. there are so many officers out there that are racist pre-judgmental fascists, just go out there and read the NYPD Rant, where they are constantly blasting the “hasids”. And it seems like they are almost jealous of those “hasids” since all you hear them do is cry that “they have the money” and “they have the power” and “they get to have red lights” and lets not forget their all time favorite “smelly hasids”. Plain pathetic, and to think that some of these are those who protects us, I shudder at the thought. And to that ignorant cop that wrote that comment in Lee and Dittos name, you are a fool, once transferred its almost unheard-of that a cop comes back to his former precint, besides, one of the reasons they were booted was for using non regulation law informant equipment such as an additional red LED light bar in their windshield and privately owned radios. These cops ate it hard with IA, I wouldn’t be surprised they get kicked off the force entirely. Aside from the fact that its probably one of them who actually wrote the comment! One last thing, to all those of you who feel the rant is overflowing with hatred, you aren’t welcome here with the rest of your hatred, go troll elsewhere. Webby show them what biased really means! Vega is REALLY a bad CO. Not since the riots have we seen such obvious anti semitism here. Either he turns a blind eye or he encourages it. He can’t pretend he doesn’t know. Can we get rid of him??? Couldn’t drive up Kingston last night fom Lefferts to Empire. I was LITERALLY stuck…double parked Shvartze cars on both sides, many of em BRAND NEW (I wish!!!) w/ blaring music. WHERE WERE THE COPS TO GIVE THEM TICKETS??? None of your comments will be approved! Just because an officer is transferred out does not mean he would not return to his respective precint. The Jewish community is not responsible for these officers getting transferred out and they understand why. In time, whent the dust settles, they will return and continue where they left off. What is sad how one sided this website is; it is anti-cop. Printing comments about police is allowed, but not the jewish community. Sad. To call these outstanding officers low lifes is disgusting. They are a blessing to the neighborhood and are hard workers. Criminals come in all colors and religions. They stood up and took action where needed. They risked their lives at least eight hours a day and did what they had to do. They touched an untouchable community and for this they are hated and booed. They stepped into uncharted waters and pushed aside politics to do their job fairly. They believed in by the book action. They saw the infraction, the violation, and/or the crime for what it was and not the type of person committing it. I have seen these officers work and I am impressed. Guys, keep up the good work and I wish you the best. You have my support and we need you guys back. We need cops with a backbone and they had plenty of it. We need cops that do not believe in politics and they didn’t. They touched an untouchable community and for this they are hated and booed. No, they did not touch an untouchable community. They went for the easiest targets, allowing the real violators, from the real untouchable community, those whose traffic offenses and quality of life offenses were just the tip of the iceberg of their lawless lives, to operate freely. When one says the easiest targets, I wonder what that is implying. There is no such thing as an easy target. In addition, there are no real violators; people in general break the law. End of story. Being that is the case, police action is taken. These cops are highway safety officers and they enforce moving infractions and violations. There are patrol cars that answer 911 calls and there are a lot of calls every tour. It is hard to do so much with so little. When it comes to quality of life issues, these need to be addressed with the C.O. and Community Affairs. These officers and patrol cops have their assigned roles and it is hard to find time to stray away and tackle other issues. In addition, when it comes to Quality of Life offenses, when an arrest is made, the D.A.s’s office does not take them seriously and laughs at them. So overall, who is to blame? Maybe if people in general were civilized and respectful to the police, quality of life would improve. Maybe if matters were addressed more with Community Affairs, quality of life would improve. If the D.A.’s office hit these offenses hard, maybe the quality of life would improve. From jaywalking, to driniking in public to loud music, these are pressing issues that need addressing otherwise the community as whole will blame the police for not addressing it when it goes beyond them. As I read (again) all the comments from top to bottom I can’t find one pose/comment were anybody says that we should get away with breaking the law. SAY THAT WE ARE EXCLUDED FROM KEEPING THE LAWS OF THE LAND. 6. Taharoth- "Purities" – laws of cleanliness and purity. I think it’s safe to say that we are more then just o.k with Law’s, We get along just fine. ILOVENYPD is nothing more than a groupie. We are sick of the anti-jewish bias in this neighborhood. 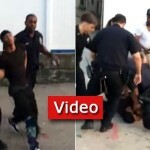 Crooked cops, cowardly cops, bullying cops…get rid of them! We shouldn’t be afraid of them. They are OUR EMPLOYEES…our taxes pay their salaries. If they don’t do a good job or they discriminate, they must be held accountable. I keep a camera in my car at all times. My kids carry them in their purses/jacket pockets. We need to fight back, but politely. Get names & badge #’s. Object to harrassment. Don’t be intimidated. What can they do…shoot us? oh, yeh. They’ll do that. i got a ticket for no seat belt from Ditto and Lee. i maild my ticket in not Gulty my hearing date is in a month do you think thire going to show up in court.? When one says the easiest targets, I wonder what that is implying. There is no such thing as an easy target. In addition, there are no real violators; people in general break the law. End of story. Being that is the case, police action is taken. These cops are highway safety officers and they enforce moving infractions and violations. See Mendel. Mendel is talking on his cellphone. He keeps talking after he starts his car and moves off. Mendel gets a ticket. See Kamaganga. Kamaganga is not from anywhere near Eastern Parkway and no one wants him here. You see, this is not about race. Our fine neighbors have less use for Kamaganga than we do – no one lumps us together with Kamaganga. Kamaganga is speeding at 120 MPH. Officer is busy with Mendel. Kamaganga then double parks and leaves his radio running as he drops off a suspicious package. Mendel is running late for work and doesn’t have the time to notice Kamaganga. See Chana. Chana forgot to put on her seat belt. Her kid is not well and her mind is elsewhere as she heads off to the doctor’s office. Chana gets a ticket. Chana tells the cop – Look what’s going on over there! Cop tells Chana – "Shut up! I’m the boss here!" Meanwhile Kamaganga roars off at 120 MPH. Chana calls 311. Officers get a complaint lodged against them. Officers respond by ticketing every Mendel and Chana who double parks on EP for a few minutes. 311 gets a deluge of calls, and the tickets are argued in court. Officers finally are moved. Mendel and Chana are easy targets. Sure, they deserve tickets. Good citizens who, like all of us, forget the rules or have bad habits. But Kamaganga is a hard target, and he gets away. And you know full well that except for isolated events on holidays, it is the Kamagangas who play loud music without permission and drink in public. I don’t even know how you define jaywalking, but if it’s what I think it is, it is basically suicide on most CH blocks during rush hour.